have great coverage with two thin coats and are super shiny with no need for top coats. I added Pippi Longstocking here. I loved Pippi as a kid! Pippi Longstocken! Do you know how many times I've seen those movies and read those books for my kids? I'm Swedish and the author of Pippi is also Swedish and one of the best childrensbooks authors in the world in my mind. You draw so well! Love how you were able to capture the details well! Love this! Pippi! I so remember her from the good ole days!! 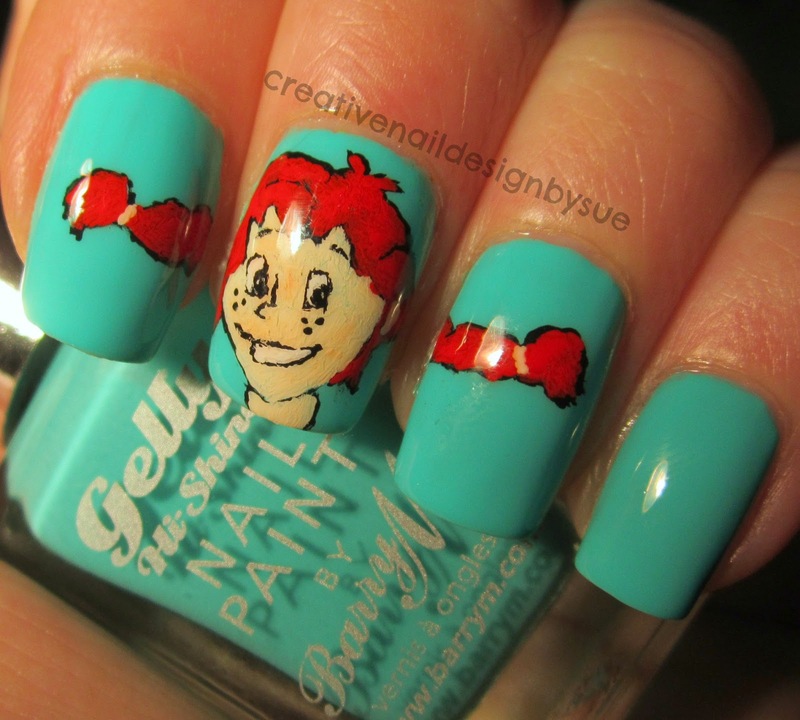 This is a prefect Pippi - love this mani!